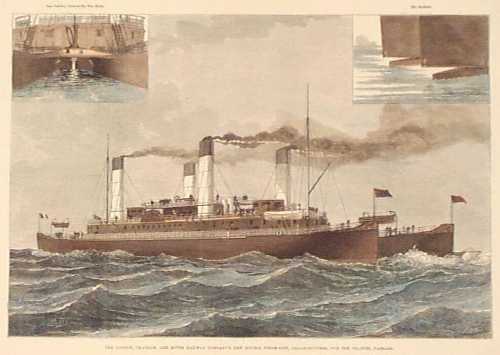 011pass: 1887 Steamship Passenger Liner. 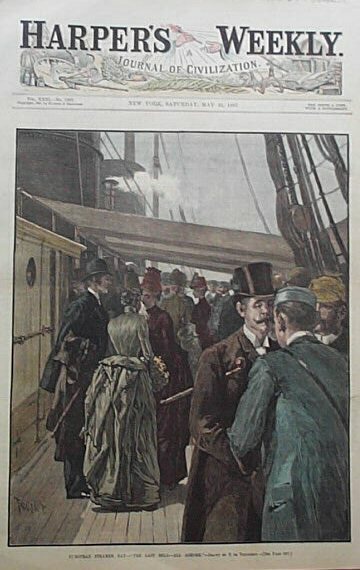 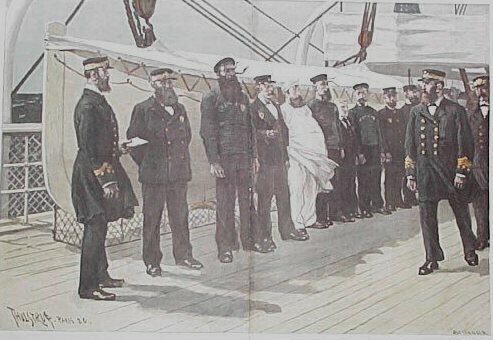 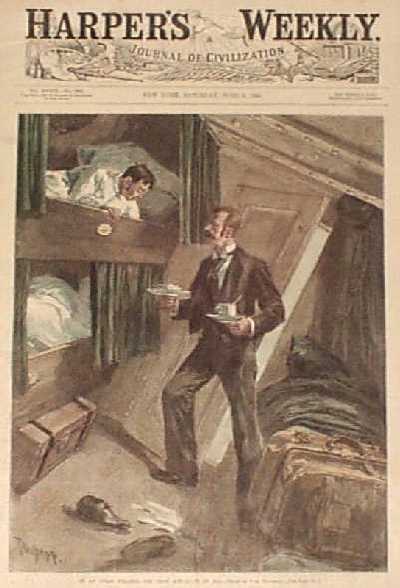 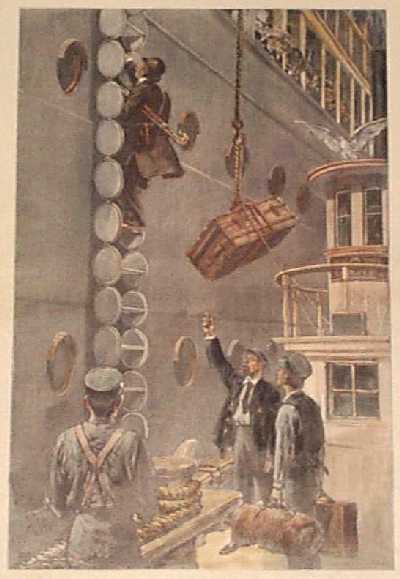 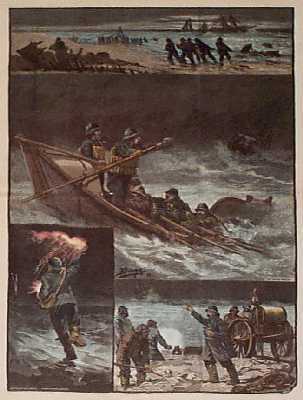 Front page, hand-colored engraving was published in an 1887 issue of Harper's Weekly. 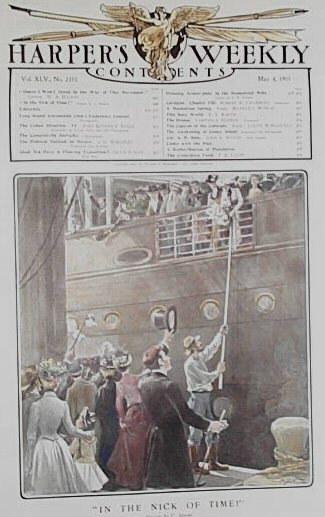 It shows the final clearing of non-passengers before the ship's departure. 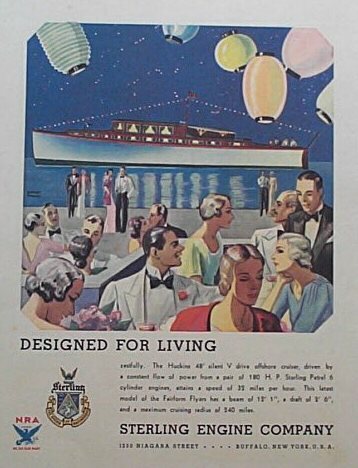 11x16 in. 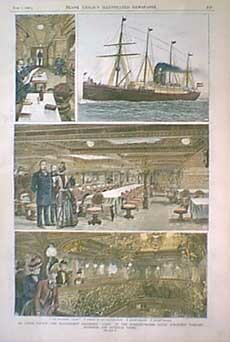 1910 Hand colored half-tones situated inside the Supplement to the Graphic for The Royal Mail Steam Packet Company. 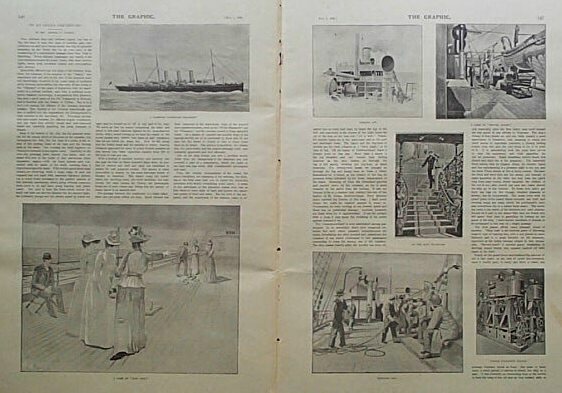 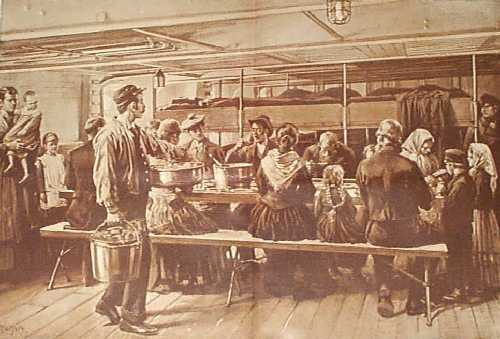 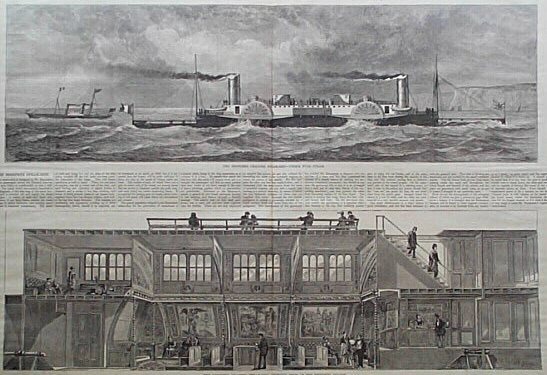 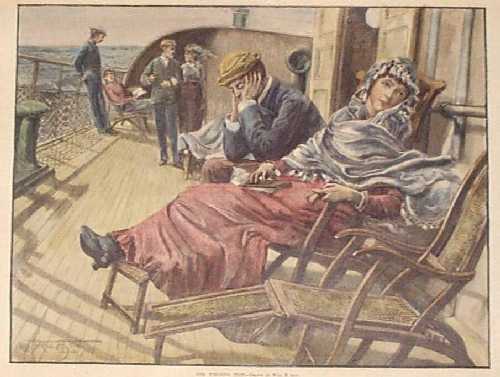 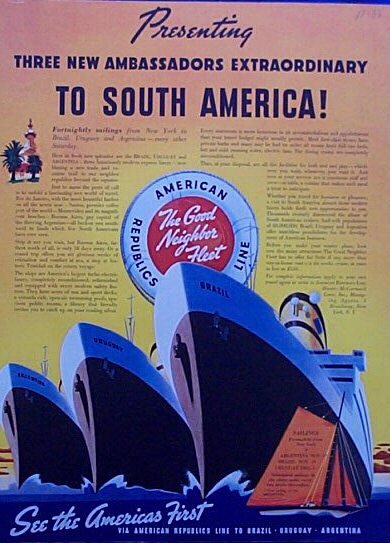 The passenger ship, R.M.S.P. 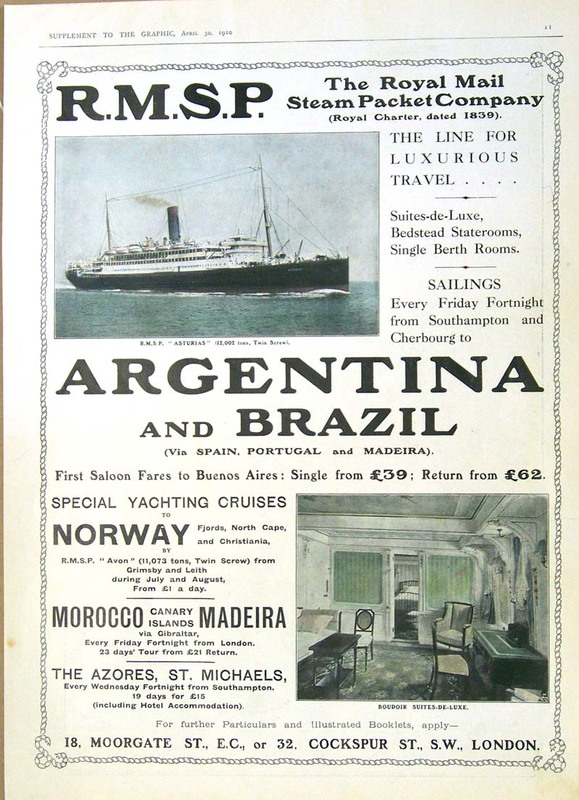 "Asturias" shown on top and a Boudoir Suites-De-Luxe shown on bottom for a cruise to Argentina and Brazil (Via Spain, Portugal and Madeira). 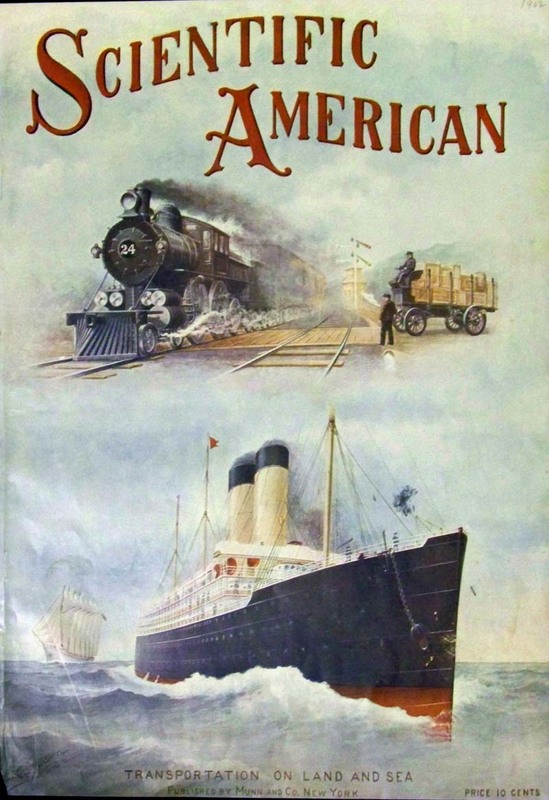 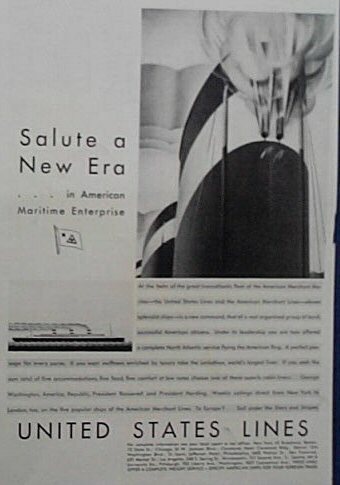 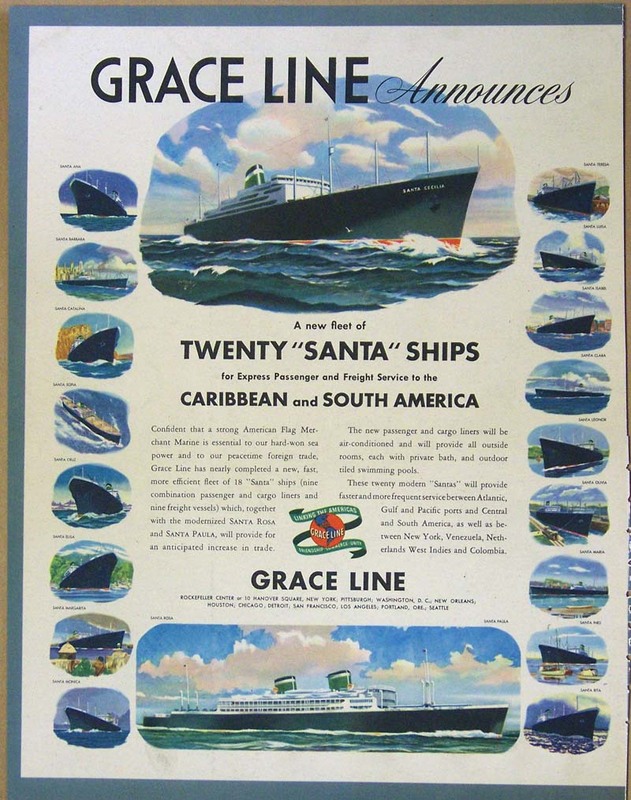 1946 Grace Line Announces A New Fleet of Twenty "Santa" Ships for Express Passenger and Freight Service to the Caribbean and South America Advertisement for Grace Line passenger ships showing all the passenger and cargo liners. 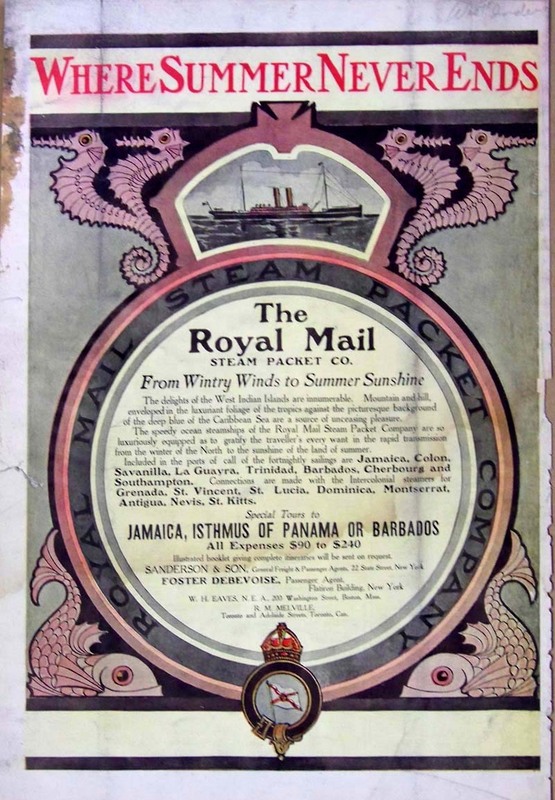 C.1841 The Royal Mail Steam Packet Co. "Where Summer Never Ends" and special tours to Jamaica, Isthmus of Panama or Barbados Advertisement. 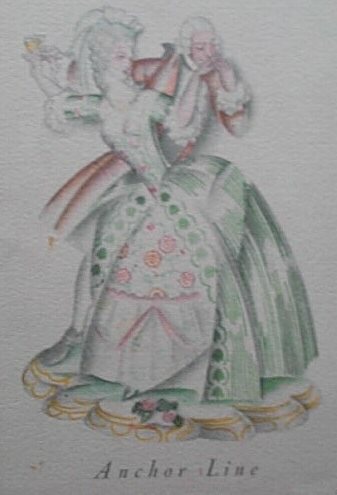 Stains on top left border area and selling in "As Is" condition. 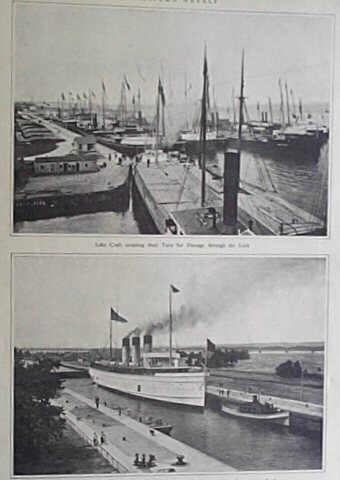 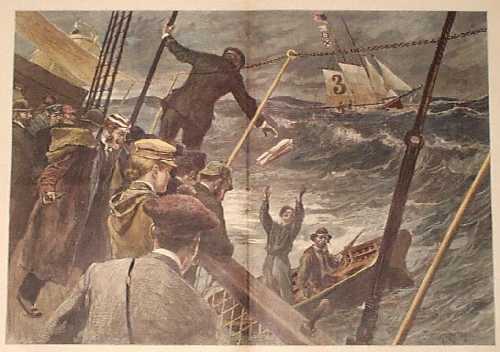 1902 Chromolithograph from Scientific American showing Transportation on Land and Sea, published by Munn and Co., New York.